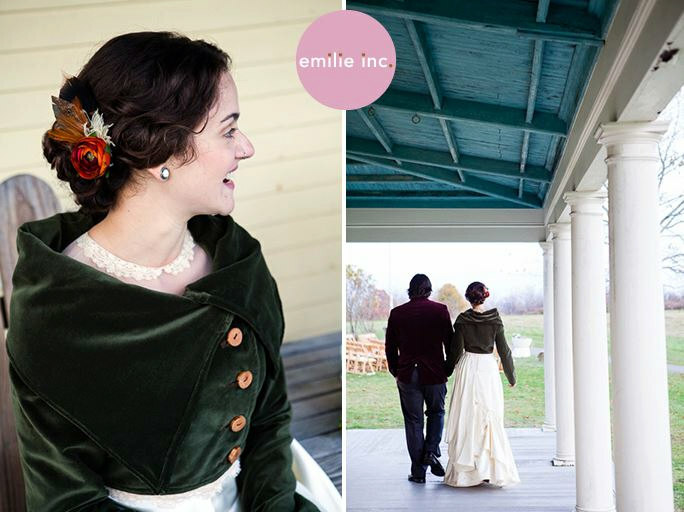 I recieved a lovely email recently from a lady who had commissioned one of my green velvet ‘Earth Maiden’ cropped jackets back in winter for her american winter wedding. Well the wedding just passes and she sent these photos through with a lovely little note, so I thought I would share them with y’all! Doesnt she look so beautiful! 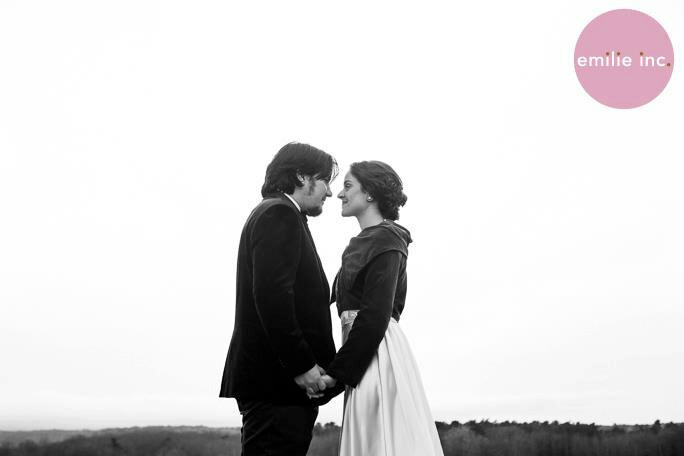 Think ‘Emma’ or ‘Pride and Prejudice’ and you’d be right on track. I loved recieving the photos as my shop is still very small and I often don’t recieve any feedback from my customers after recieving their parcels. There’s something so nice about knowing that she was wearing one of my creations on her wedding day too =) and that these photos will become family heirlooms in the future. Lovely! Seeing the photos made me realise just how important it is for me to work on my photography and to use models too, not that I want my products to be all modelled on waifs or anything, just that I actually really dont enjoy being in front of the camera and would love to be able to stand back and create a scene instead of fake smiling at the camera! They are currently on offer at 30% off as well as Free Shipping.